for sale at $450 includes shipping to lower 48.
plugs into horn, comes with airbag plug to splice into stock wiring and instructions. 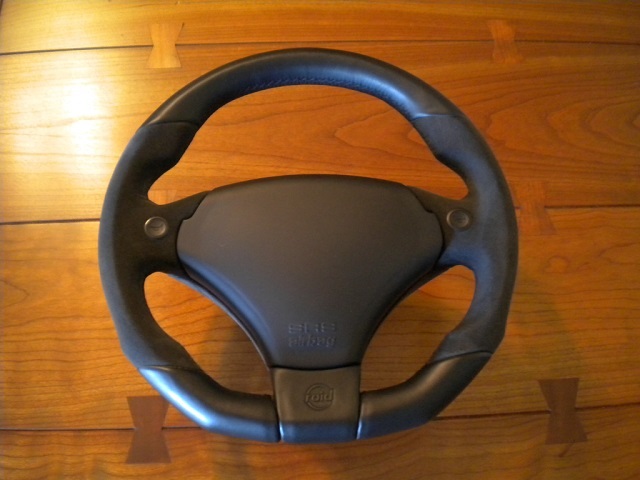 very cool fitted thick grip, creates more leg space and brings the wheel slightly closer. I bought this back in 2011 to replace a damaged classic grey wheel in my cab and have recently found an oem 4 spoke wheel in black so this is now for sale. hardly any wear, no scuffs or marks. couple threads on these, search 340mm. Nice wheel, great price. GLWS! I'll take it if Josh doesn't!! Will it fit a 993? Also, is it black or grey (hard to tell from pics)? These do fit our 993s. Derek, Carnewal still has this wheel and similar wheels in stock. The Silberpfeil costs about $500 after converversion to USD. I happen to prefer the Rascasse, but the Silberpfeil is just as nice. I'd enjoy trading this one for my classic grey 4-spoke that came new with my car. I'd love to swap it out for yours. Form an orderly line, here! Sorry, man. I'm buying it. They're still available from Carnewal, though. The seller and I have already come to an accord. 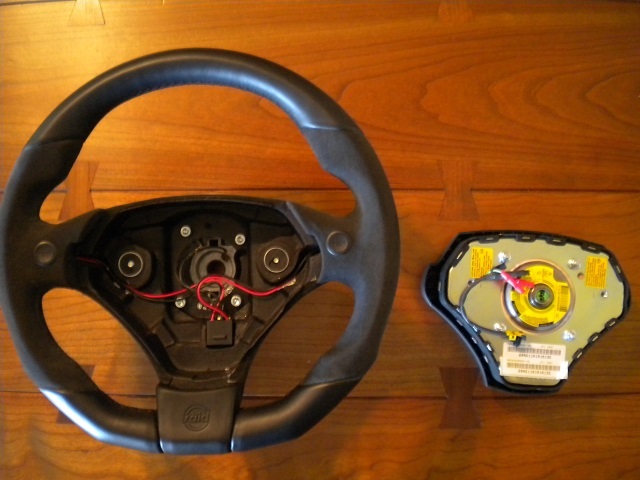 You snooze and so forth ... just trying to help Jeff out if he really wants a RAID steering wheel. Urination metaphors are stretching it a bit. derek, yes easy swap into a 993, and it is black, the alcantara makes it look lighter than normal. jeff96, if you get a chance, swap a 4 spoke black into your car as a test. I wasn't sure at first cause I like the classic grey so much, but the black looks very good. makes the steering wheel kind of blend into the dash trim. I'm very excited about this wheel! It's going to be wheely awesome! Oh ... how pleasant of you to say so. You're welcome!